Featuring six wheel drive, Pickup Systems is hoping its latest creation will appeal to a wide variety of industries. 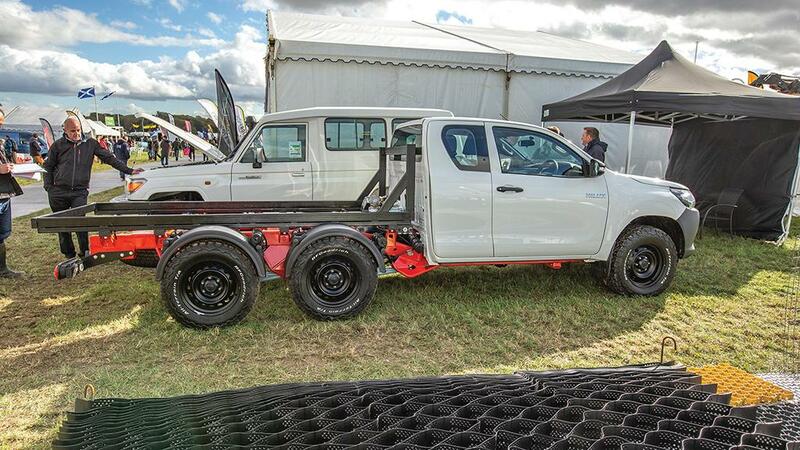 Well established in many other sectors for its pickup conversions, Burnley-based business Pickup Systems used the recent APF forestry exhibition to gauge visitor reaction towards a new six wheel drive Toyota Hilux it is developing. From a farming perspective the carrying capacity of the 6x6 Hiload could certainly prove useful for more heavy-duty jobs. Primary objectives of the conversion address load space, payload and mobility. Compared to its four-wheeled counterpart, the Hiload can handle a three tonne payload and can be equipped with up to a 4.6m load bed. User story: How does a six-wheel ATV compare to a quad? 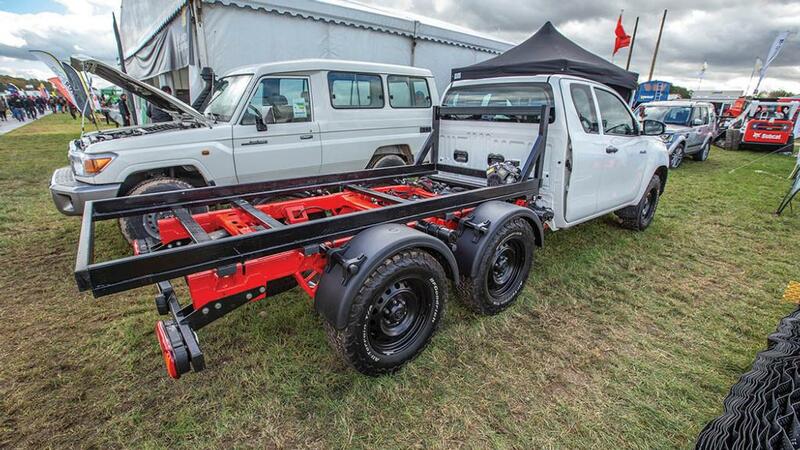 As a Toyota authorised converter, Pickup Systems specialises in the design, development and manufacture of light commercial vehicles solutions for the likes of fire and rescue, overhead power line and arborist maintenance applications, and military. It produces about 200 conversions per year. 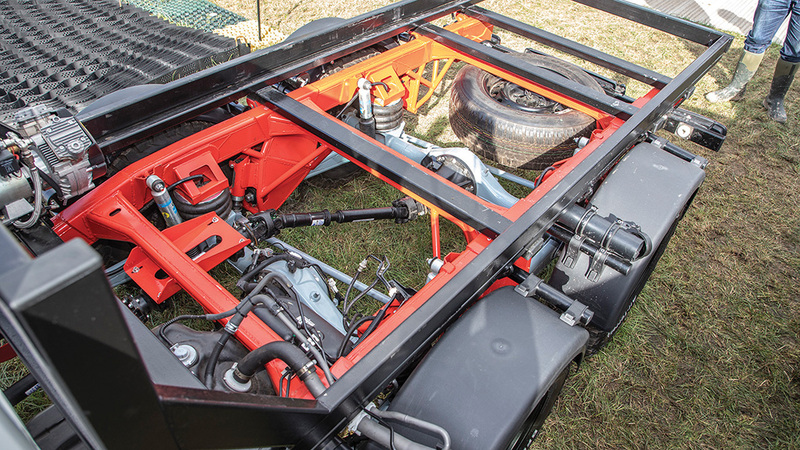 The chassis for the Hiload is built from the ground up as a one-piece unit. All axles come from Toyota with a custom transfer box providing drive to the two rear axles. Drive is constant to the two rear axles, with the front axle engaged to provide six wheel drive. As shown as a chassis and cab, it retails for about £52,000.